Lerner Publishing Group creates the highest-quality nonfiction and fiction content for children and young adults in a variety of subjects and formats. Based in Minneapolis since its founding in 1959, Lerner Publishing Group is one of the nation’s largest independent children’s book publishers with fourteen imprints: Lerner Publications, Millbrook Press, Carolrhoda Books, Twenty-First Century Books, Graphic Universe™, Hungry Tomato™, Darby Creek, Kar-Ben Publishing, Carolrhoda Lab™, LernerClassroom, ediciones Lerner, First Avenue Editions, Lerner Digital™, Zest Books™, as well as Lerner Publisher Services. Lerner Publisher Services sells and distributes high-quality children’s books from renowned publishing partners through all major sales channels. Lerner Publisher Services also provides production and ebook conversion services for publisher clients that helps create paperback, hardcover and electronic books. We believe learning never ends. It’s a constant process, a result of interacting with the world around you. You engage in learning and the more you know, the more knowledge will reward you by opening your eyes and your mind. We strive to do just that for you, our readers and customers. We bring together authors, illustrators, photographers, and educators to ensure that each book we create is age appropriate and meets curriculum standards. Our books are thoroughly researched and exceptionally written with amazing illustrations and captivating photography that hold readers’ attention. We want you to feel that when you call on Lerner Publishing Group, you will know more. For us, every customer interaction is an opportunity to build relationships, a chance to share our expertise in publishing. We want to empower educators, librarians, and parents with knowledge so they can inspire young minds in classrooms, reading rooms, and living rooms. We want you to feel that when you call on Lerner Publishing Group, you will know more. 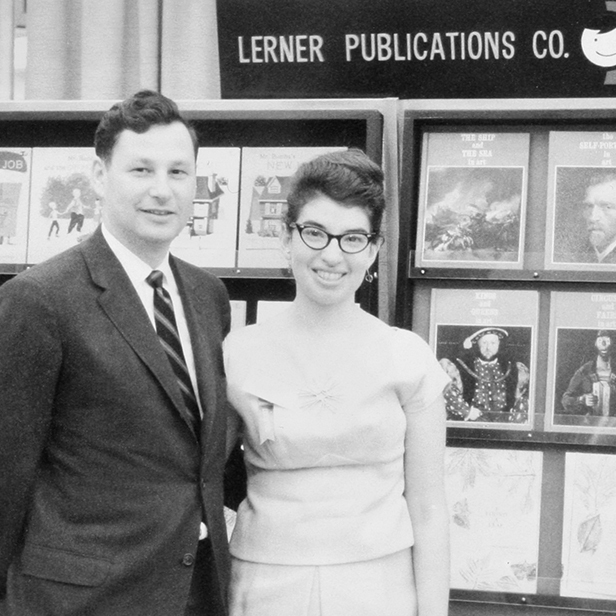 Above: Founder, Harry Lerner with Sharon Lerner at a trade show. 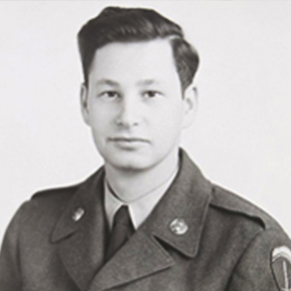 As a young entrepreneur, Harry Lerner had his initial taste of success with publishing a book while in the Army in the 1950s. The C-Plate Car and Travel Guide gave service men stationed in Germany the information they needed to buy cars and travel the country. 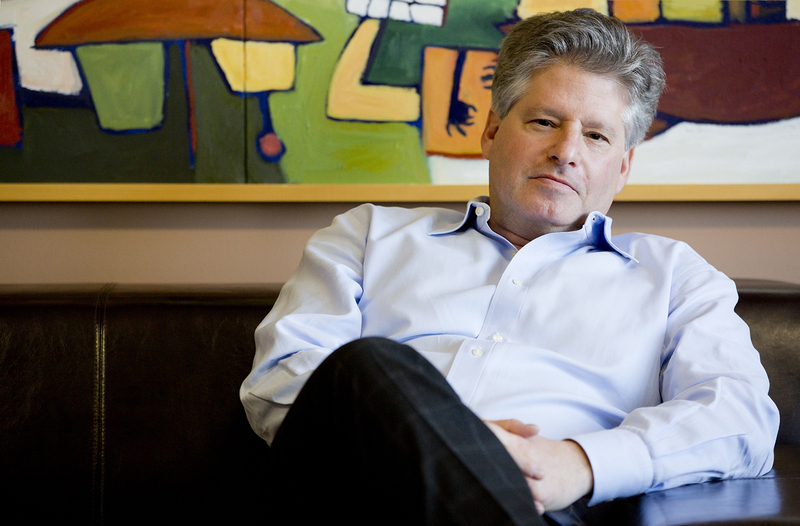 His passion for publishing continued when he returned to his hometown of Minneapolis. 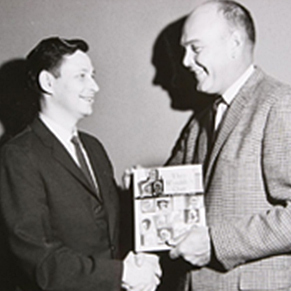 In 1959 Harry launched his initial children’s publishing venture with a series called Medical Books for Children. Harry’s original plan was to sell the books to doctor’s offices and through bookstores, department stores, and hospital gift shops. But he soon noticed that most orders came from public libraries, and they requested “library bindings” that would ensure the books lasted through heavy library circulation. 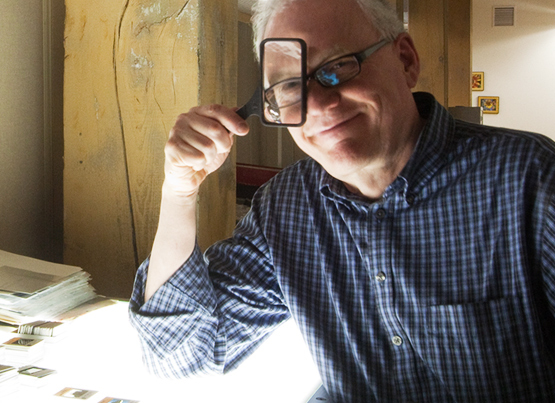 Harry adjusted his plans and began producing informational books for children, strengthening connections with school and public library markets. Lerner Publishing Group creates nonfiction and fiction books that educate, empower and entertain readers. We publish under several imprints, each with a unique age and content focus. Whether you are looking for engaging picture books, high-quality supplemental nonfiction, graphic novels, distinctive young adult novels, you will find what your readers need to grow and learn. Learn more about our imprints here. At Lerner Publishing Group, we meet our customers’ needs by producing the highest-quality nonfiction and fiction content in a variety of subjects and formats. Our unique, engaging books for PreK-12 help librarians, educators and parents in developing a love of reading and learning among the children and youth they serve. Learn more about our leadership team here. Lerner Publishing Group does not accept unsolicited submissions or queries from unagented or unreferred authors. Occasionally, we may put out a call for open submissions, which will be announced here on our website. Those open calls will include detailed instructions. To learn more about our imprints, visit our Imprints page.